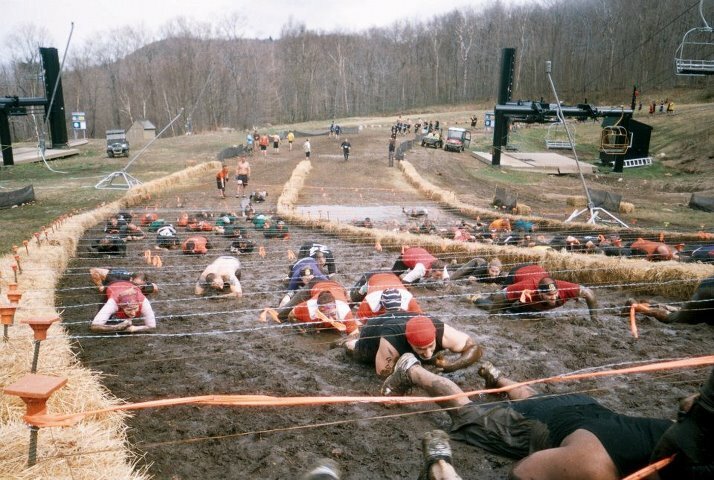 The Tough Mudder Mt. Snow Vermont is history for another year. 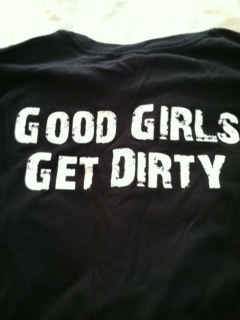 Last year I had a team of 5 rockin’ women. I went a whole different direction this year. 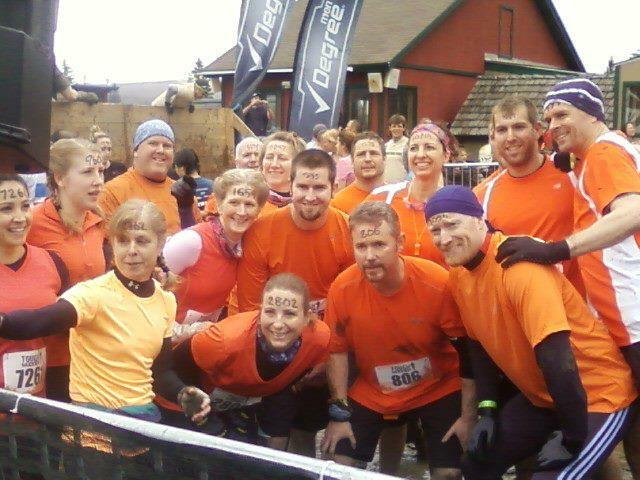 Team Moe Cowbell 2012 was a mismash of seasoned athletes and couch potatoes. And you know what? 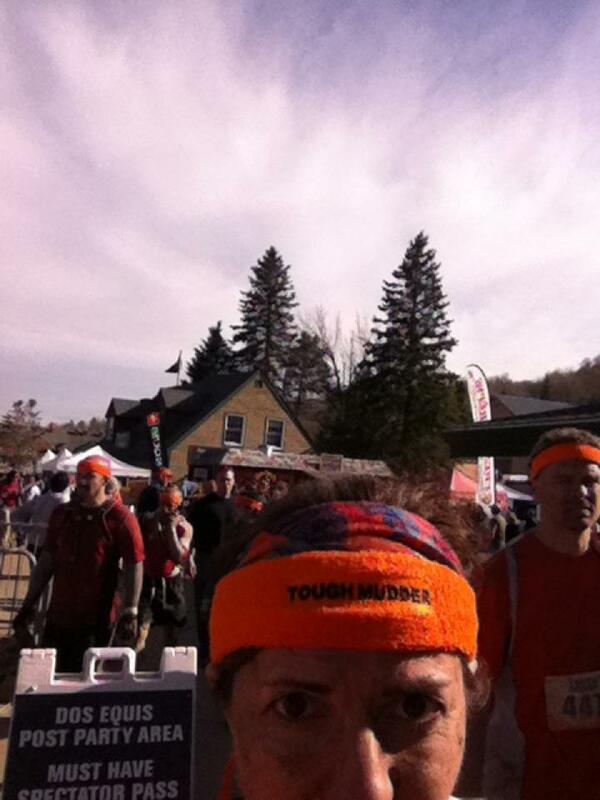 We all finished and earned our headbands. 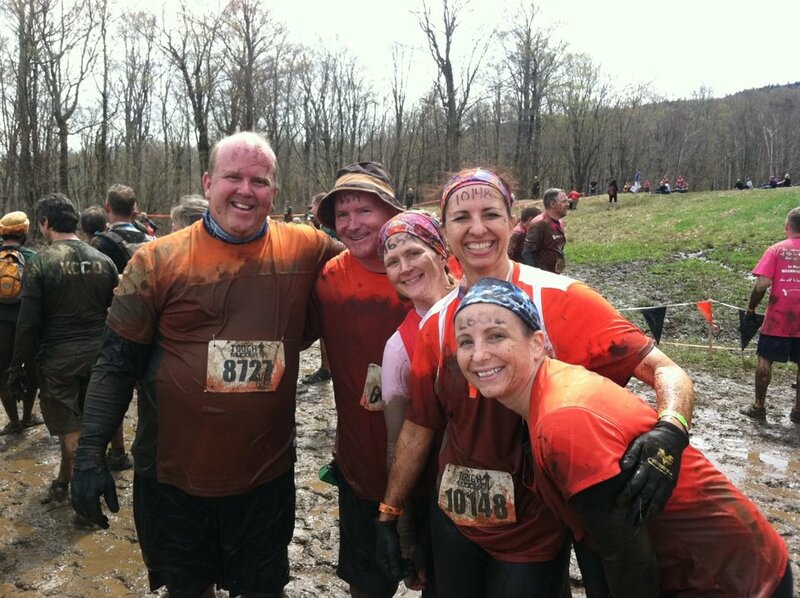 10+ miles of ball-shrinking (their words, not mine) ice baths, crawling in the mud, electric shocks, all-but-insurmountable walls to climb, underwater and underground tunnels, etc…we conquered them all. It wasn’t easy and certainly easier for some than others. But you know, I kind of have more respect for those who had to work the hardest, went the slowest and were on the course the longest. 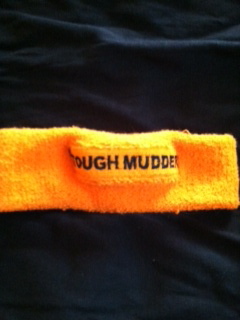 At the very start of the Tough Mudder we all recite a pledge to put teamwork and camaraderie before our course time. Some take that more to heart than others. A few members of our team wanted to go ahead and challenge themselves a bit more and that’s fine. But for those of us who stayed together until the bitter end, Hooray For Us! 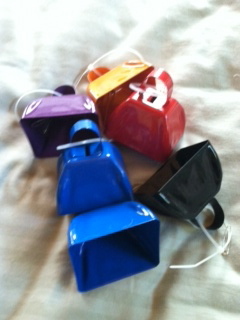 Our team name, Team Moe Cowbell, was a riff on the infamous SNL skit entitled ‘More Cowbell’. You know the one…Will Farrell and Blue Oyster Cult. I outfitted our team with cowbells to wear pinned to their clothing. Some opted out, but for those who decided to go the distance there was a bonus benefit. Almost every TM participant seemed to know that skit and the sound of the cowbell as we proceeded along the course added a bit of levity to what could otherwise be nothing but a grueling death march. Maybe that’s what the world needs…More Cowbell! Normally when a person is walking along the street and sees a dubious item encrusted in dirt lying alongside the road the last thing that comes to mind is picking it up and wearing it or drinking it. 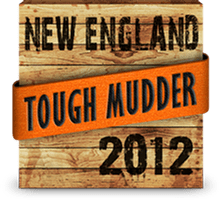 Not so in Tough Mudder-land. 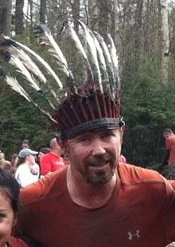 One of my teammates found a discarded Indian headdress and wore it with pride for the rest of the race. Same with a fishing hat picked up by another teammate. And don’t even get me started on the random beers we found waiting for us along the way. They tasted great. We took a while to complete the course. Some of it was, of course, because we didn’t move very fast. But some of it was out of our control – namely the 30-45 minute wait time at several of the obstacles. When the day has already been a long one, you’ve done more and gone further than anyone expected you to and the beer tent is closing it’s ok to skip an obstacle or two and just get it done. I’m bruised and battered beyond belief. Bruises fade and cuts heal. While they last though, I’ll wear them as a reminder of just how hard I worked to complete the course. 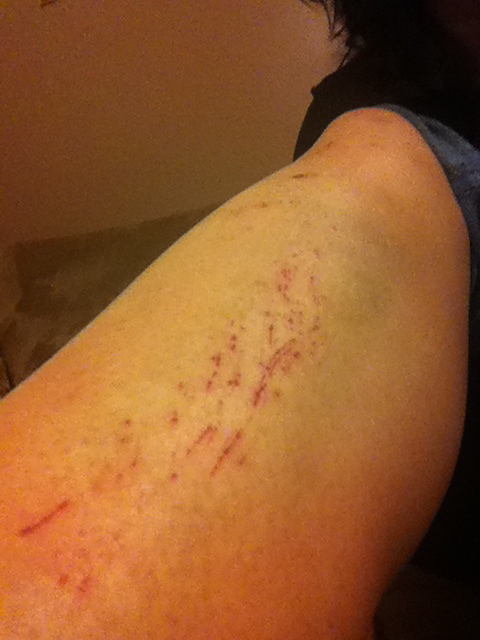 I’m actually quite proud of my battle scars. I just hope they heal in time for next year’s Tough Mudder.